A line of high quality valves aimed at variable control and Safety functions. 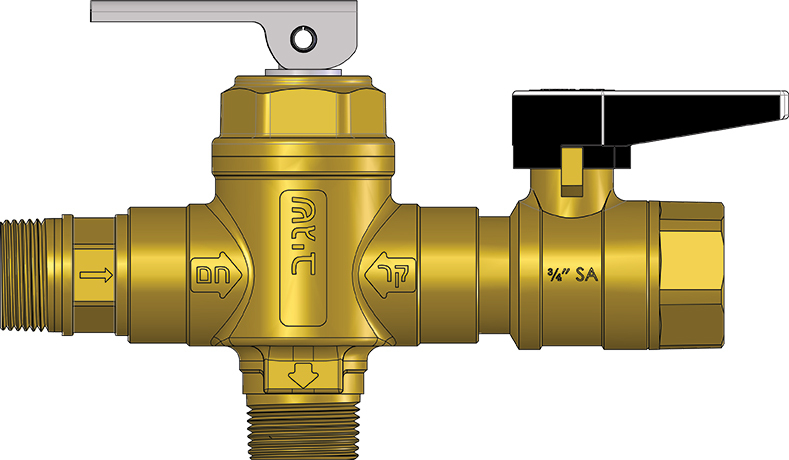 All the valves are based on Sagiv's Ball Valve high quality mechanism. Special applications TMV aimed at locations such as nursing and sheltered accommodation. The TMV limited the hot water temperature to 45ºC to prevent scalds and include a built-in mechanism that allows for system sanitation, in order to prevent bacterial infection (such as Legionella). The TMV is approves by the Israeli Ministry of Health. Instructions for flushing the system and executing a shock treatment using a thermal shock. The flushing of the system will be done in the frequency indicated in the local Standard and according to the requirements of the Ministry of Health.